Contrasting Christmas dinner at your house with the Christmas dinner portrayed in the Hallmark movies can be depressing and disappointing. The two images just don’t align. 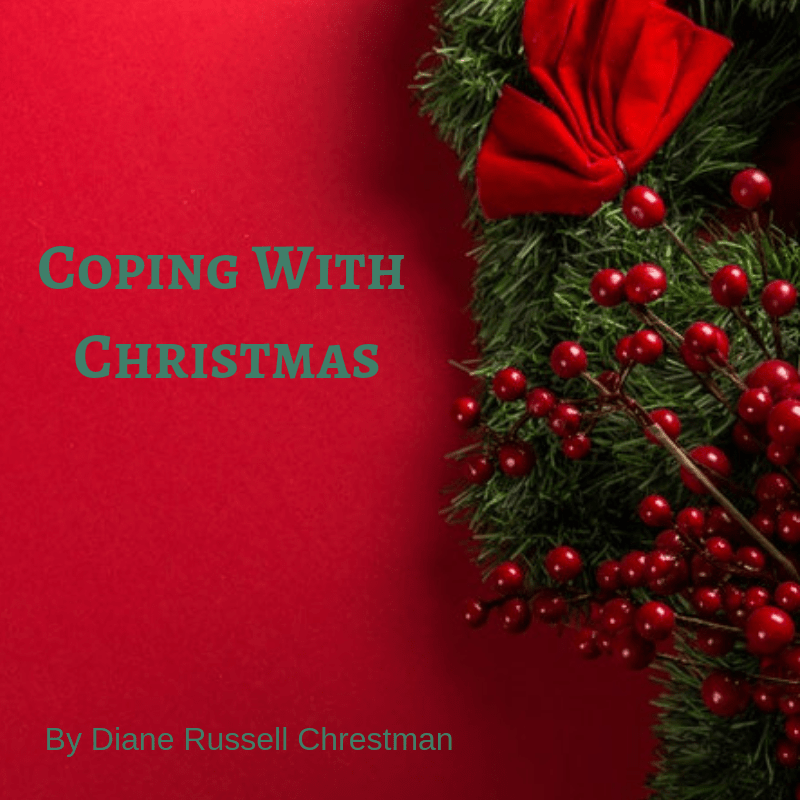 Coping with Christmas is very difficult because of the idealistic portrayals that have been pounded in our heads and the actual portrayals which might include coping with mental illness, dysfunctional family dynamics or substance abuse. We cling to the notion that despite these problems our Hallmark Christmas dinner is just around the corner. Coping with Christmas is very difficult because we often do not know what to do to make our holidays seem “normal”. We have not yet come to terms with a definition of holiday normal that is right for you and your family. Coping with Christmas requires an authentic expression of new traditions works for you and your family. We do not have to engage in traditional rituals that do not work for us. If traditional family dinners or family visits create arguing and fighting, you might consider not participating. Emotions run high during Christmas and maladaptive patterns run rampant. If Christmas creates the perfect storm for family members to act at their worst, give yourself permission to not participate. We are trying to feel normal by engaging in traditions that are not right for many families. If there is an alcoholic in the home perhaps free flowing alcohol is not a good idea. Perhaps if your family already has everything that they really need, participating in a mass shopping frenzy is not the best choice. Attempts to create an ideal Christmas despite overwhelming family problems does not end well. Instead of coping with Christmas we burn out our reserves of energy, peace and joy. The Christmas season can be a sacred time of renewal and reconnecting if we are mindful of our expectations. Spending to much time with dysfunctional family members is a recipe for disaster and an unrealistic expectation. Although it is perhaps a long-standing family tradition perhaps a better expectation is that you attend Christmas dinner and then make a graceful exit. As you become mindful of expectations, we naturally begin to define new traditions that although unconventional, are more healthy. If your expectations and new boundaries are cultivating peace, joy, and generosity in your heart or mind then you are on the right track. Coping with Christmas when it involves dysfunctional or abusive family dynamics includes understanding your personal limits and knowing when it is time to set a boundary. Setting boundaries skillfully is not easy. In our attempts to set boundaries we can make the family dynamics worse if we do not do so skillfully. I think the most important ingredient to setting a boundary skillfully is to do so with love and compassion in our heart and mind. If we must say, “I no longer tolerate these behaviors”, we must try to do so with an energy tone of peace and equanimity. That is not easy because usually by the time we get up the nerve to set a boundary, we feel anything but peace and equanimity. We likely feel anger and resentment. Re-establish peace and equanimity before setting a boundary by using what ever coping skills work for you such as prayer or meditation. The next important factor to skillfully set a boundary is using the right level of firmness. I almost always help clients identify the right level of firmness to use in problematic relationships. We discuss factors such as roles, power differential, right timing, tone of voice, body language and word choice. The sweet spot involves crafting your message in an assertive manner. Assertive boundary setting does not include wish-washy hinting, nor does it include anger, resentment and exaggeration of offenses. Do you have any success stories about in coping with Christmas? If so, please share your wisdom. It may help those of us who are still trying to master the art of coping with Christmas.